Finally, after years of waiting on what will become of their billion dollar purchase of Yammer, Microsoft finally provided a short-term vision of Yammer. First off, Yammer Enterprise is being killed. But it will be integrated into Office 365. Yammer Enterprise service tier will be going away on January 1, 2017. That’s in three months. Yammer will continue to remain available in Office 365. “It will be possible for people to make Word, Excel, and PowerPoint documents using Office Online within Yammer, and it will be easy to go from Yammer to a shared OneNote notebook or the Microsoft Planner project management tool,” reports VentureBeat.com). 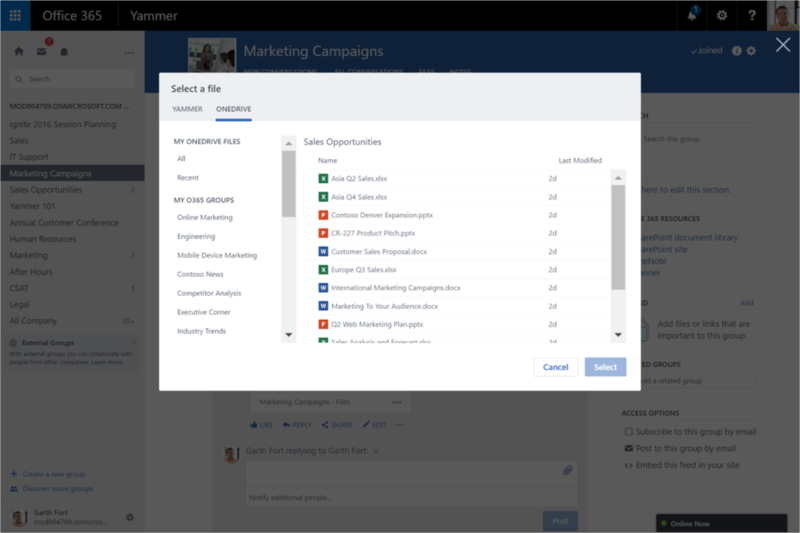 “Team members will be able to select existing files from OneDrive and SharePoint and share them with colleagues in Yammer, too. And Yammer teams will get their own SharePoint sites, enabling them to build wikis and blogs. Microsoft will be rolling out the integration in phases, according to the Yammer team in a blog post, starting with Office 365 Groups. Some pundits believe the advent of Microsoft Teams might in fact be the death blow for Yammer. However, Teams is a far different, more diverse product. Teams is project and team focused, with robust tools; Yammer is focused on enterprise micro-blogging, for FYIs akin to Twitter posts. Years of waiting on Yammer to evolve may finally be over.